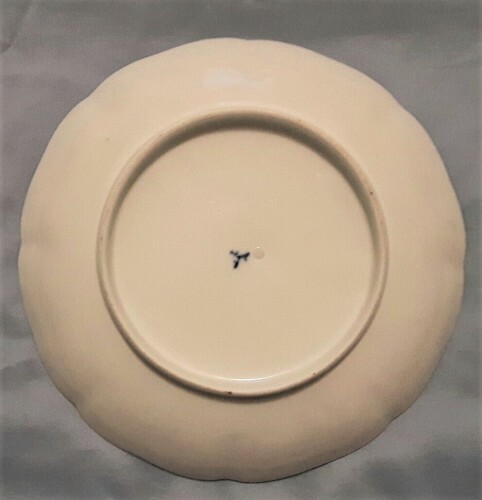 Can anyone identify the mark on this blue and white plate? Thank you! David. It is the mark of Tominaga Genroku (1859-1920). On this older post it appears together with the name "Genroku". 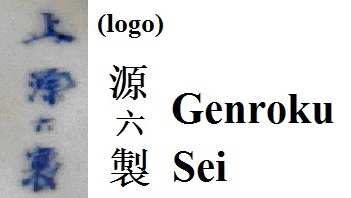 This is the mark (logo) of Tominaga Genroku (1859-1920), see my picture. 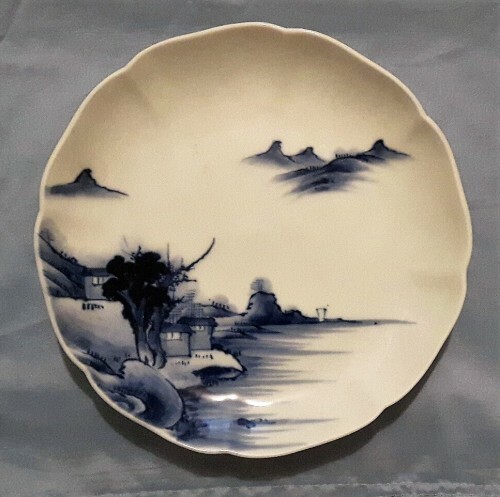 Genroku began Genroku Gama (Genroku Kiln) during the Meiji period with the goal of producing the highest quality porcelain in the traditional manner of Imari from the 18th century. 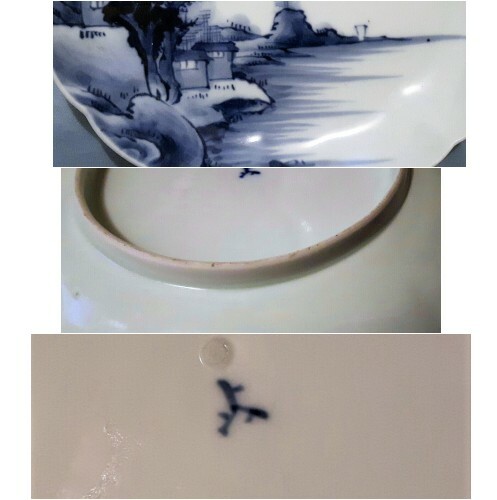 In the mid-Meiji, Genroku started to call his work Genroku Yaki (ware) from around 1888, when he built a new kiln. The Genroku mark (logo) which comprises three Japanese katakana 'to' was introduced later. After his death, his sons continued the kiln, but they had a difficult time. The Genroku kiln lasted until 1934.